This version of our Big Jock range of badger shaving brushes benefits from a large 30mm knot of the finest Silvertip grade of badger hair and a superb, lathe turned faux horn resin handle. Each handle is unique due to the colouring of the handle and slight variaces in dimensions due to the lathe turning. As you would expect this large size shaving brush makes light work of lathering up hard shaving soaps and shaving creams. Silvertip grade badger hair is the top grade of badger hair used for badger shaving brushes. Silvertip hairs as well as being the most expensive and rare type of badger hair are very soft on the face yet Silvertip is known for its durability. Silvertip hairs are not bleached or dyed, what you get is natural, untrimmed hair. No other grade of hair absorbs and retains water and heat quite like Silvertip. The handle is classically shaped and in proportion to the dimensions of the knot of hair. This Big Jock Silvertip badger hair shaving brush comes to you in a smart, Executive Shaving Company presentation box. Also available with a real horn handle. The handle was lathe turned and then highly polished, expect slight differences in dimensions. The faux horn will vary in colour from brush to brush. Be gentle with Big Jock, he's a big guy but even big guys need some tender, loving care. The golden rule is to avoid using hot water, warm and cold water is fine but hot water can damage the silvertip hair and loosen off the knot of hair in the horn handle. 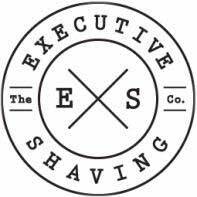 Read our our shaving brush care guide and watch the video. Sensationally priced as we commissioned a large number of these brushes to get the price down. Super-soft silvertip hair that will making shaving a pleasure. Faux horn handle made from high grade resin.